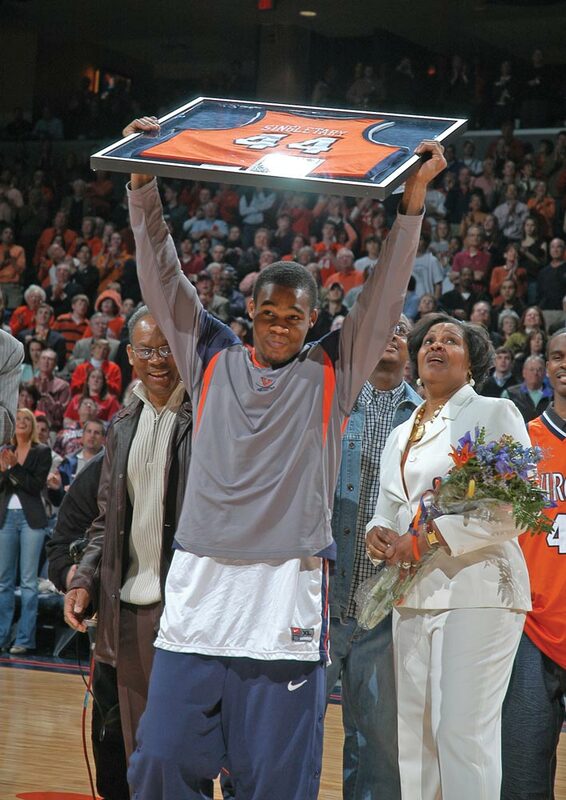 The 2007-08 basketball season might have lacked fireworks, but there were plenty of sparkling moments in the performance of fourth-year guard Sean Singletary. For the third straight season, Singletary was named to the All-ACC first team, joining Bryant Stith and Ralph Sampson as the only other Cavs to achieve that distinction. Singletary set or tied career highs in five categories during his last season as a Cavalier, including scoring 41 points against Miami on March 1. Named Player of the Year by the Virginia Sports Information Directors Association.